LOS ANGELES—In a stunning development that sent shockwaves through the gaming community, Nintendo announced during their Electronic Entertainment Expo presentation Tuesday that Donkey Kong will be left off the upcoming edition of Super Smash Bros. after failing to make weight. 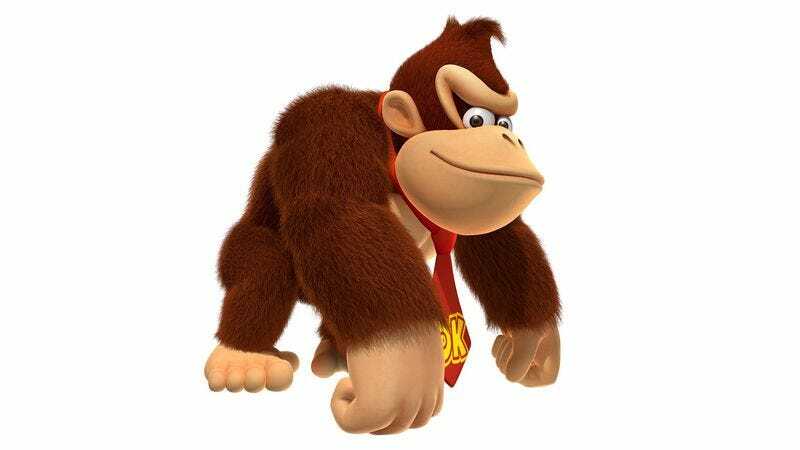 “Donkey Kong’s disappointing disqualification from Super Smash Bros. came after he registered 4.5 pounds over his contractual limit of 750 pounds, despite having drastically decreased his food and water consumption in the week leading up to weigh-in,” wrote Polygon video game reviewer Christian Shunk, referring to the weight limit game officials imposed to maintain a competitive balance between the primate and fellow heavyweights like Wario, King Dedede, and Bowser. “Officials gave Donkey Kong another two hours to try again, and he attempted to eliminate excess body water by sitting in the sauna for a half hour before completing a high-intensity workout on the stationary bike while wearing heavy clothing. However, after testing 1.8 pounds over at the second weigh-in, and following an unsuccessful appeal to the Nintendo Gaming Commission, Donkey Kong was officially ineligible to participate in this edition.” Nintendo officials did confirm that Pikachu is still expected to appear in the upcoming game despite being briefly hospitalized with dehydration and kidney stones stemming from his efforts to make weight.